It’s 3 a.m. and you’re “Ubering” home from a late night out with the bros. Your stomach rumbles in search of something greasy to satisfy your monstrous appetite. Lucky for you, there is a McDonald’s at the upcoming intersection. In your heart of hearts, you know that dollar-menu cheeseburger will make you happier than any one-night stand, but then you realize the satisfaction of the fatty burger isn’t worth a morning run; seriously, who wants to spend time burning off extra calories in the morning? This phenomenon exemplifies the Millennial health movement that is currently sweeping the nation. Most every fast food chain has felt the aches and pains of this health movement. In fact, after having already cut hundreds of corporate jobs, McDonald’s (MCD) plans on closing 350 underperforming franchises, most of which are located in America. This decision is the result of a two-year sales slump that has severely hampered McDonald’s, as well as other fast food chains; McDonalds’ CEO was even relieved of his position in February 2015 after the company reported disappointing Q4 sales, which declined 2.3%. Moreover, McDonalds’ consolidated 2014 revenue declined 11% year-over-year (Y/Y) and its operating income declined 28% Y/Y. These factors have negatively impacted McDonalds’ EPS, dropping this figure by $0.17. McDonald’s isn’t the only unhealthy food distributor to feel the pain of changing consumer demographics. Chipotle’s (CMG) recent earnings report also fell short of analyst expectations. Similarly, large beverage distributors, like Coca Cola (KO), have suffered as well. In fact, Coca Cola has only recently turned the tide of investor and public sentiment. Nevertheless, Soft drink sales continue their decade-long decline, as evermore studies, highlighting related health concerns, are released. With Millennials’ changing health concerns, and their focus on physical health, fast food businesses must adapt to evolving consumer demands. In light of this generational transition, McDonald’s will announce a May 4th revised growth strategy. 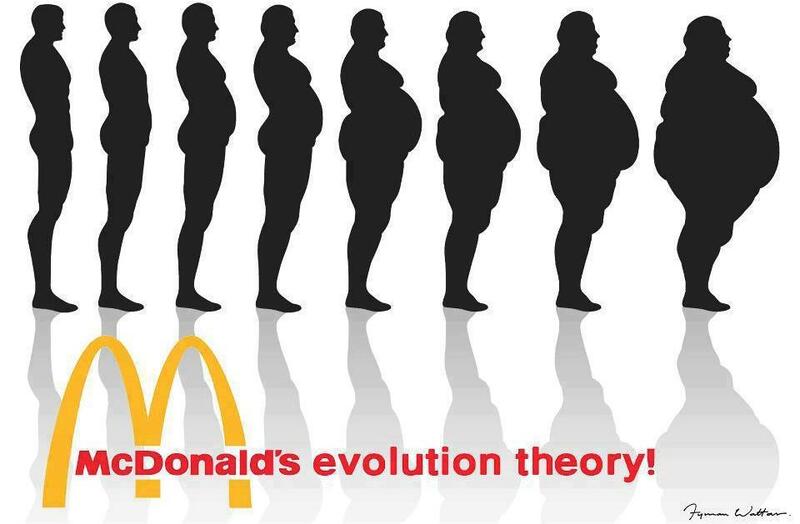 That said, McDonald’s has already taken steps to appear healthier. For example, McDonald’s is advertising that antibiotics will no longer be used in its chicken. This reflects a growing industry trend, one in which unhealthy corporations alter their existing products and services to retain younger customers. Unfortunately for McDonald’s and Coca Cola shareholders, Millennials hold their returns hostage.